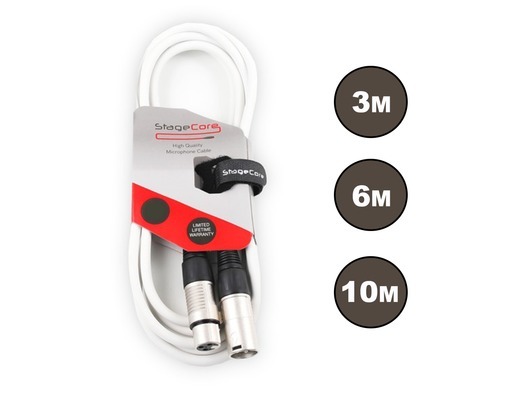 This cable is available in 3m, 6m and 10m lengths, which you can select from the drop-down menu. 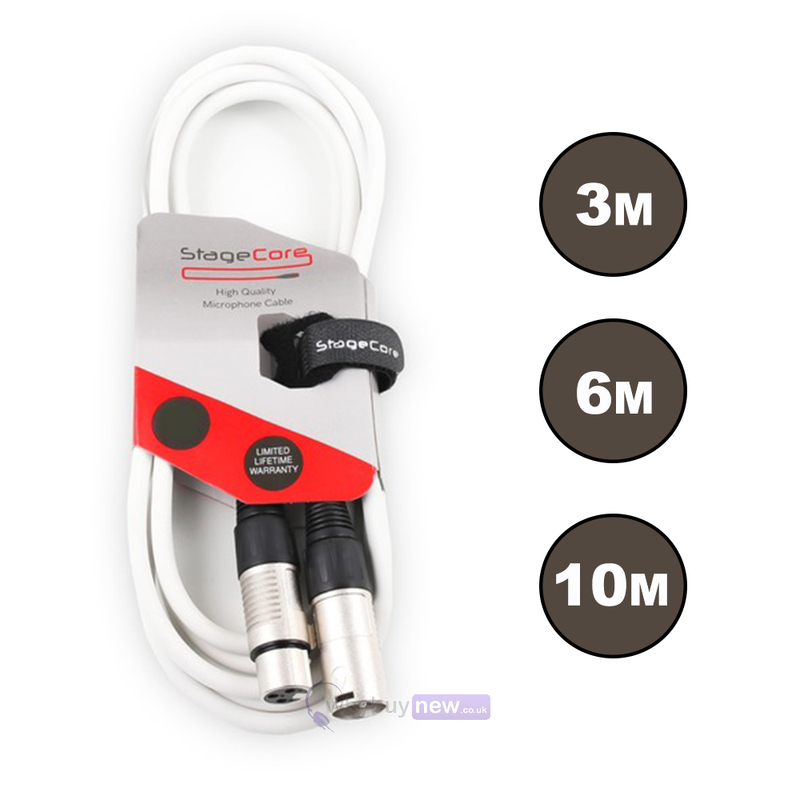 The StageCore Female XLR - Male XLR Professional Audio Cable is a high quality white microphone cable featuring male and female XLR connectors. 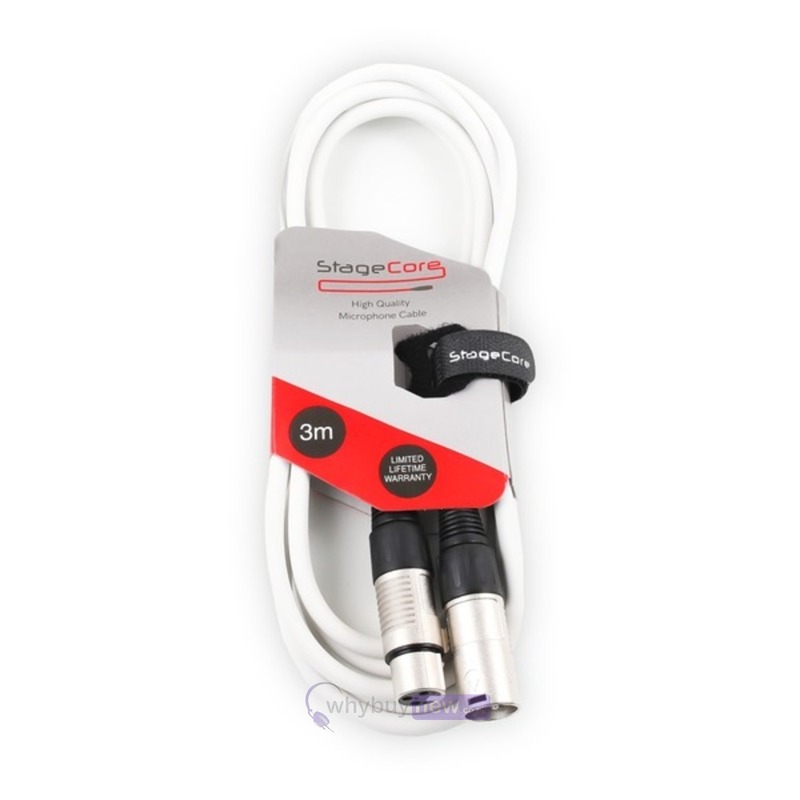 Durable and reliable, it is suitable for a wide range of applications and is a great cable to use for special occasions such as weddings.